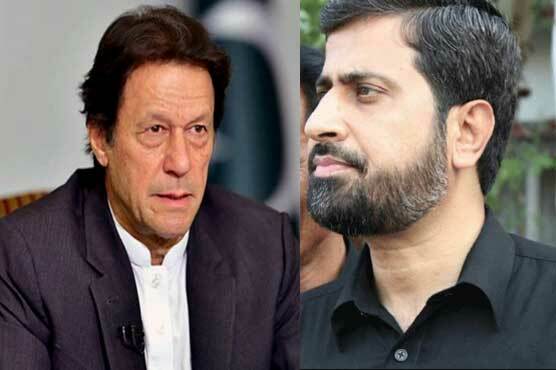 Punjab Information and Culture Minister Fayyazul Hassan Chohan on Tuesday resigned from his ministry amid intense criticism over his derogatory remarks directed against the Hindu community, the spokesperson for Punjab Chief Minister Usman Buzdar has confirmed. Dr Shahbaz Gill, the chief minister’s spokesperson, told media sources that Chohan tendered his resignation and it was accepted by Buzdar. Leaders of the ruling party slammed Punjab’s information minister – also from the Pakistan Tehreek-e-Insaf (PTI) – for passing derogatory remarks against the country’s Hindu population with Finance Minister Asad Umar reminding the minister that “Hindus are as much a part of the fabric of the nation” as he is. Earlier in the day, Punjab’s Minister for Information and Culture Fayyazul Hassan Chohan, while addressing a press conference had passed derogatory remarks against the country’s Hindu community while criticising India, drawing the ire of political leaders. The firebrand PTI leader’s resignation came following reports that Prime Minister Imran Khan had himself taken notice of his remarks, although those reports were denied by the party. Chohan held a meeting with Buzdar later in the day, according to Gill. Following the meeting, Chohan said that he was neither asked for nor has he resigned. However, the veracity of his denials was called into question later in the day when Gill confirmed that Chohan had indeed tendered his resignation. Speaking on TV show News Wise in the evening, Gill said Chohan would be replaced by PTI MPA Syed Sumsam Ali Bokhari. He will take oath as the provincial information minister in a day or two, the spokesperson added. Chohan, known for his tub-thumping manner of speech, was addressing an event in Lahore on February 24 when responding to India’s rhetoric in the aftermath of the Pulwama bombing, he conflated Indians with Hindus and used disparaging words for the religious community. “You cow urine-drinking people, listen to me,” Chohan had said during the press conference. “We are Muslims and we have the flag of Hazrat Ali (RA) and Hazrat Umar (RA)’s bravery. You don’t have that flag.” He further said “idol-worshippers” shouldn’t operate under the delusion that they are better than Pakistan. As a video clip of the derisive remarks went viral on Monday, Twitterati on Tuesday using the hashtag ‘#SackFayazChohan’ asked the government to take action against Chohan and remove him from his post. Prime Minister’s Special Assistant on Political Affairs Naeemul Haque in a tweet had said that PTI would not “tolerate this nonsense”, adding that action would be taken against the minister after consultation with Punjab Chief Minister Usman Buzdar. “PTI govt will not tolerate this nonsense from a senior member of the govt or from anyone,” he wrote. “Pakistan proudly owns the white in the flag as much as the green, values contributions of the Hindu community and honours them as our own,” wrote Dr Mohammad Faisal, the spokesperson of the Ministry of Foreign Affairs, on Tuesday. Minister of State for Overseas Pakistanis Syed Zulfiqar Abbas Bukhari distanced Prime Minister Imran Khan from Chohan’s “personal opinion”, which he called “appalling and embarrassing stance against minorities”. Minister for Human Rights Shireen Mazari on Monday was unequivocal in her condemnation of her fellow PTI member’s remarks. Finance Minister Asad Umar reminded Chohan that the flag of Pakistan was not entirely green and that it is “not complete without the white which represents the minorities”. Pakistani human rights activist Kapil Dev, too, reminded the Punjab minister that were millions of Hindus living in Pakistan and even Chohan’s own party had Hindu lawmakers. We are 4 million #Hindus in Pakistan. We are 4 million Hindus in #Pakistan. This is not the first time that Chohan attracted bad press; last year in August, people from all walks of life chided the minister for his below-the-belt remarks against film and theatre actors. The same day, the minister — known for using hard language and calling names of his opponents on TV talk shows — attracted criticism for using abusive language against the team of a private TV channel for running the clips of his old statement against railways minister Sheikh Rashid. While removing mikes, Chohan uttered four letter words against the media team. This was captured on a mobile phone and its footage went viral causing embarrassment to the PTI’s newly installed government in the centre and Punjab. Then in October, Federal Minister for Kashmir Affairs and Gilgit Baltistan Ali Amin Gandapur had condemned the controversial remarks made by Chohan, assuring that the PTI would take action in this regard. Chohan, while talking to reporters in Lahore, had repeatedly used the word “Kashmiri” with the names of Sharif family members, reportedly in a scornful way, which stirred up widespread outrage among the Kashmiri people. The video clip of the said press talk went viral on social networking sites, mostly with tempestuous comments against the minister for making the “racial slur”. Subsequently, Chohan said he was sorry if his statement had hurt the sentiments of the Kashmiri people. According to the Pakistan Hindu Council, the Hindu community constitutes around four per cent of the country’s population.